Israeli soldiers assaulted, on Friday, the weekly nonviolent protest against the illegal Israeli Annexation Wall and colonies, in Bil’in village, near the central West Bank city of Ramallah, leading to scores of injuries.Dozens of Palestinians, along with Israeli and International peace activists, marched from the center of the village, heading towards the Annexation Wall, surrounding their orchards, and isolating them. The soldiers fired gas bombs, concussion grenades and rubber-coated metal bullets at the nonviolent protesters as they reached the site on the old wall, that demolished in 2011, after the Israeli high court ordered rerouting it. 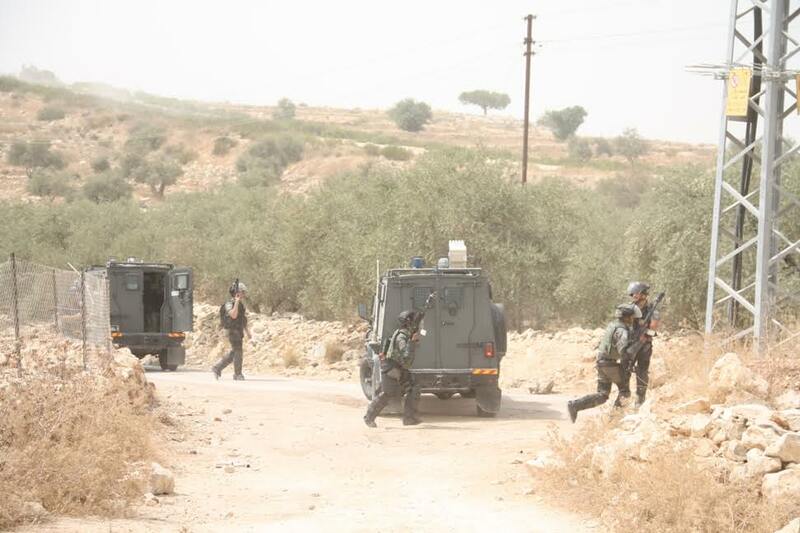 The soldiers chased dozens of protesters in Palestinian orchards, firing gas on them, causing many protesters to suffer the effects of teargas inhalation, the Popular Committee against the Wall and Settlements has reported. 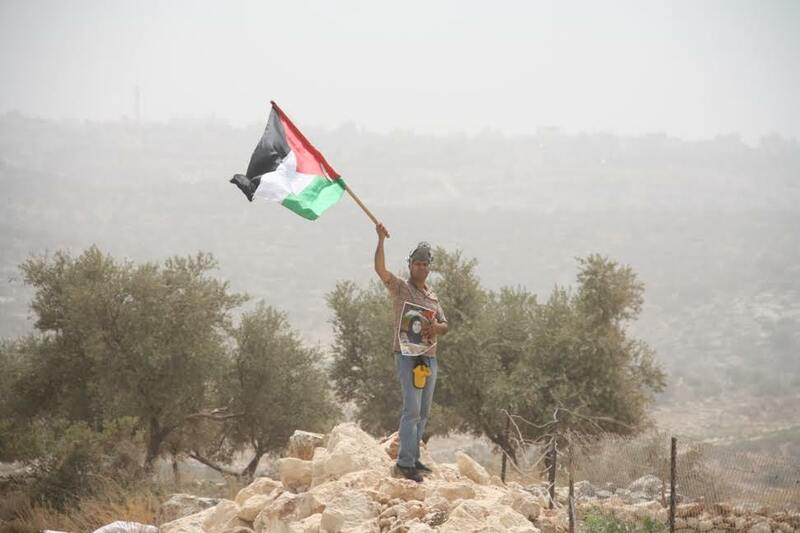 The Committee said the protesters carried Palestinian flags, celebrating the UN General Assembly vote for raising the Palestinian flag at the UN headquarters. 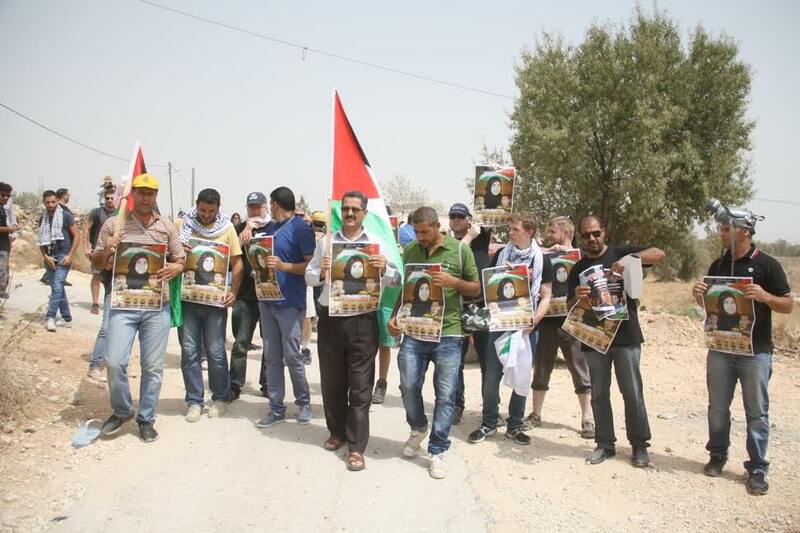 They and also carried pictures members of the Dawabsha family, who were killed after Israeli terrorists firebombed their home near Nablus. They marched chanting for Palestine, calling of national unity and steadfastness, in addition to rejecting the illegal Israeli attempts to divide the Al-Aqsa Mosque in occupied Jerusalem. 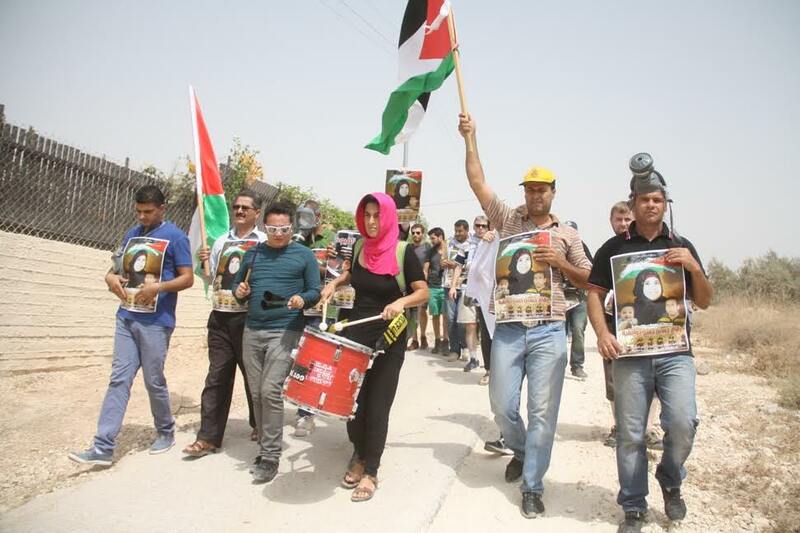 The protesters also called for ongoing struggle and resistance against the Israeli occupation of Palestine, and for the release of all political prisoners.